Does the Stock Market Lead the Economy or the Other Way Around? the correlation between the Leading Economic Index (LEI) and the stock market the following month is fairly high, with a correlation coefficient of 0.39, but that is the case because the LEI is reported with a big lag. 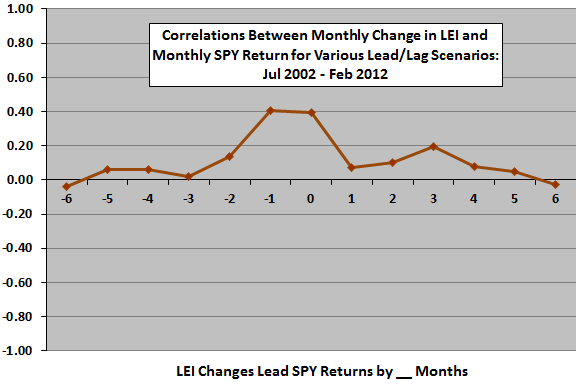 In fact, the research of CXO Advisory concluded not that the LEI forecasts future stock market performance but just the opposite – the stock market leads the LEI by about a month.